While autofill can often be a time-saving feature to use when you’re online, it can also be a pretty annoying feature. And if you’re on your work computer, you probably don’t want to save any sensitive of private information. We’ve put together a list of the steps needed to disable autocomplete features on the three main browsers. To disable autofill settings in Chrome, click the hamburger menu in Chrome and go to Settings. Scroll down to the bottom of the page and click Advanced Settings. Scroll down to Passwords and forms, and make sure that “Enable Autofill to fill out web forms” is unchecked. Clicking “Manage Autofill Settings” enables you to selectively edit or delete existing autofill entries. In the mobile versions of Chrome, go to Settings > Autofill Forms and uncheck the option. To disable autofill settings in Safari, go to Safari’s preferences (Command + Comma). Navigate to the AutoFill tab. There you can selectively disable autofill settings for info from your contact card, usernames and passwords, credit cards, and any other forms. In the mobile version of Safari, go to your iOS settings > Safari > Autofill. There you’ll find a similar list of items to selectively disable. Disabling autofill on Firefox is a little different. Navigate to Preferences and open the Privacy tab. In the drop-down menu next to History, select “Use custom settings for history”. Uncheck “Remember search and form history”. As the setting indicates, however, this will also affect Firefox searches that are conducted in the search bar. Do you prefer to use autofill in your browser? Let us know in the comments. Explore more about: Google Chrome, Mozilla Firefox, Safari Browser. 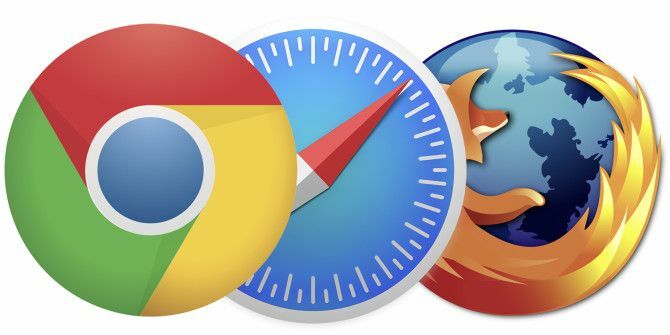 So, by Any Browser yo uactually mean the 3 most popular ones: Chrome, Firefox and Safari. What about Opera, IE, Edge, or Comodo Dragon, to name but a few?